The King of Pentacles sits on a throne embellished with carvings of bulls, representing his connection to the astrological sign of Taurus, and grapes and vines adorn his robe, symbolising wealth and abundance. In his right hand, he holds the sceptre of his power, and in his left, he holds a golden coin, symbolic of his material influence. This King has an innate ability to create material wealth and financial abundance – and better yet, he can sustain his wealth over time through self-discipline, control and leadership. At his feet and around his throne are more vines, flowers and plants, representing the highest attainment of material success. His castle sits behind him, a symbol of all he has built through his efforts and determination. This King is therefore very serious about financial security and has made the accumulation of wealth his focus in life. He is proud of his achievements and likes to show others his prized possessions and wealth. The King of Pentacles represents material wealth, financial abundance, and worldly success. This King is a faithful provider; he uses his ambition and confidence to create wealth for himself and others and generates his self-worth from what he has accumulated and can share with others. He is also a fatherly figure who provides others with advice, guidance and wisdom, especially in financial and work-related matters. When the King of Pentacles appears in a Tarot reading, you are confident and successful at attracting and managing wealth. Not only do you identify opportunities for growth and success, but you also draw upon your self-discipline and control to manage your wealth and invest it wisely for the long-term. 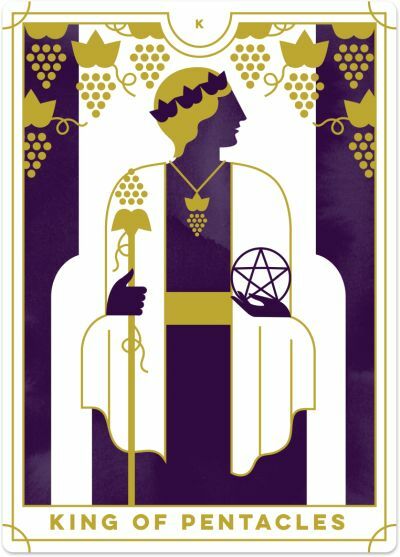 The arrival of the King of Pentacles indicates that you can translate your vision into something tangible, practical, and often very lucrative. You are the ultimate business owner. You do not merely come up with ideas and hope for the best – you work hard to map out your plan of attack, gather your resources and manifest your goals, often with tremendous success. You are like King Midas: everything you touch turns to gold. When you apply yourself to your vision, you create huge success, particularly on a financial level. 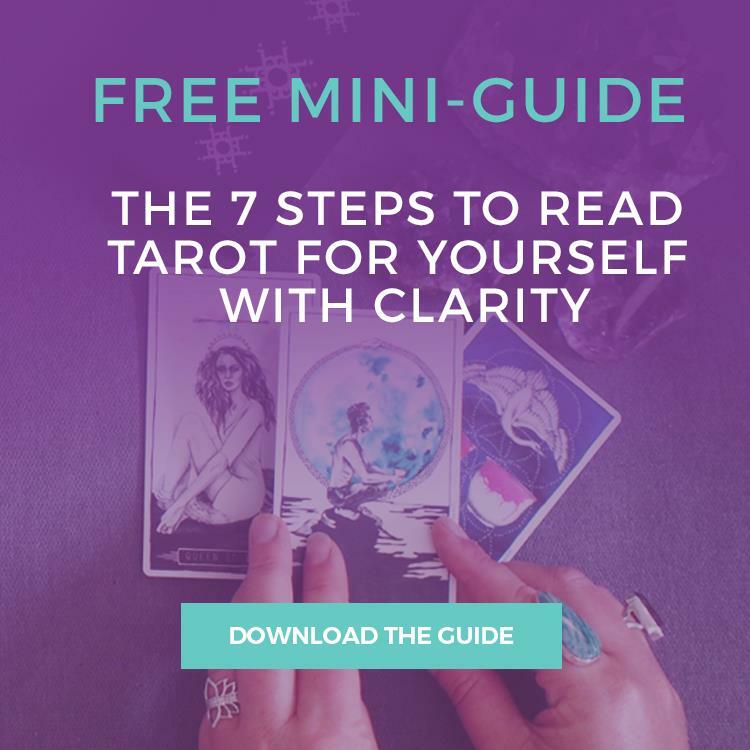 Money flows easily and abundantly to you, and as you sit at the pinnacle of your economic power and influence, you can rest assured of your continued prosperity. You no longer struggle to achieve what you desire, like the Page and the Knight, nor do you have any need to prove yourself. The King of Pentacles often indicates the final fulfilment of a creative task, a business venture or investment. Through diligence, responsibility and attention to detail, you have achieved great things and can finally say that you have completed your task or attained your goal. You can now enjoy all that you have accomplished and the successes you have created. You have created a rich life, not just financially but also spiritually, which will set you up well for the future. The King of Pentacles knows that a methodical, planned and well-thought-out approach will lead you to success. You have experimented in the past with what works best and have landed on your own methods and practices you know will continue to work for you in the future. Continue down this path rather than trying new ways of doing things. You do not need to take any more risks. The King of Pentacles reversed asks you to look at your relationship with money and wealth. On the one hand, you may not be managing your wealth well. You may attract large sums of money through your business enterprises or a high-flying career, but as soon as the cash hits your bank account, it’s on its way out again as you splurge on expensive items or invest in high-risk opportunities. You are not treating your money with respect, and instead, need to draw upon your self-discipline and control so you can save for your future while still enjoying the fruits of your labour. On the other hand, you may be putting money before anything else, negatively impacting your relationships and well-being. You may be a workaholic, over-investing in wealth creation and neglecting your loved ones. You may do anything for an extra buck, even if it means selling your soul and your integrity. You may be so impressed by other people’s status and social position that you kowtow to anyone ‘above’ you while dismissing anyone ‘below’ you. You might continuously name-drop and try to prove yourself by bragging about the people you know. If this resonates, step back for a moment and look at the greater impact of your obsession with money. Is it serving you in this state, or do you need to change? At times, the reversed King of Pentacles represents someone who is very stubborn and rigid in his approach. When this King shows up in a reading, look at your life. Are you feeling ‘stuck in a rut’? Has life become so predictable and routine that it is completely dull and lifeless? Being grounded is a good thing, but give yourself permission every now and then to break free and do something different. You don’t have to be so serious all of the time.